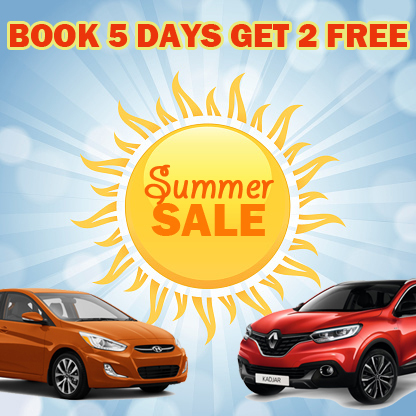 Make the most of Summer with our extended deal. In our Summer Sale get two extra days of hire FOR FREE! If you book 5 days hire with us, we’ll give you two extra days totally free. This offer applies only to the hire cost, not including additional extras. Have a Happy Hire this Summer!